What little girl doesn't like the color pink! 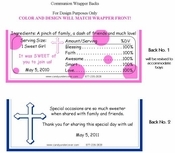 Add some polka dots and a her picture, and you have the perfect First Holy Communion favor! 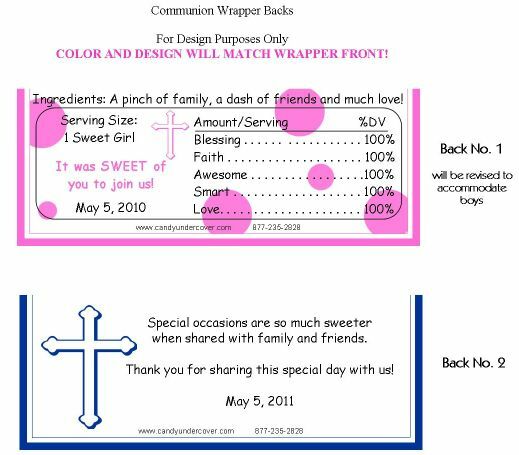 A delicious chocolate bar wrapped up in the cutest candy bar wrapper.